Now that Carl Froch has dispatched with George Groves and seems set to travel Stateside to cement his legacy. Let us take a look back at the best victories from the career of Carl Froch who has possibly had the toughest run of fights of any fighter of the modern era. The Road Warrior does get beaten an awful lot (15 by the time he fought Carl) but coming into the Froch fight he had knocked out Allan Green and Yusaf Mack in the previous year and gone twelve rounds with Tavoris Cloud. Froch struggled a bit here and there but pulled a victory out the bag with a workmanlike performance. A banana skin was avoided and his march to stardom continued. Despite having a patchy end to his career, Robin Reid was a legitimate fighter who pushed Joe Calzaghe to a split decision and was still capable of world-class boxing. Froch would dominate and force his opponent to quit at the end of the 5th round which was no mean feat. For Froch this was the calm before the storm. A year later he would fight Jean Pascal starting the toughest streak of current boxers that would last a full 7 years that still shows no signs of stopping. Back in 2006, Froch had never fought anyone near world-class and Magee would prove to be a stern test. Barely ahead on two score cards, Froch would land a devastating uppercut that knocked Magee down and out. Most observers thought at the time it showed how limited Froch was as he struggled with an opponent that seemed a bit limited himself. The underlying theme that would continue that was demonstrated in this fight though was that Froch would invariably find a way to win and always finished strong. Everyone had a view of what happened with the controversial stoppage but frankly I thought Froch was three seconds away from knocking Groves out cold. He didn’t get the chance and we got a rematch. The first fight was a barnstormer of a fight. 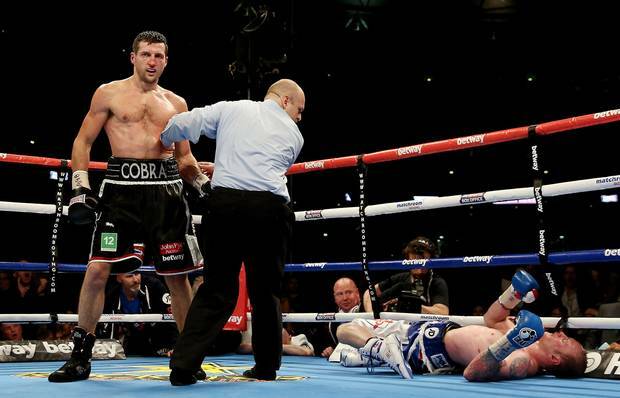 An agitated Froch was pummelled for 5 rounds and floored in the first. Yet again Froch began to come on strong and by the 9th had begun to get through with regularity. His looping right started problems as it glanced the head of Groves and he never recovered. Not enough credit was given to Froch for the victory but now the second had a satisfactory ending we can put the Groves saga to bed. The fight was cagey affair. When I watched it live at Wembley I had Groves ahead either 5-2 or 4-3 going into the 8th. It seemed the judges and TV announcers had it a little different but it was still nip and tuck. Froch has begun closing the gap and was moving into range and finding Groves with more regularity. The whole stadium felt nervous and a tight decision seemed inevitable until Froch landed THAT right hand. It put to bed the Froch Groves saga and confirmed the doubters that Froch was shot. His last hurrah will be interesting but he only got there by yet again finding a way to win no matter the circumstances. The Super Six seems an age away now but at the time Abraham was considered, and still is, a legitimate threat. In the brilliant behind the scenes footage, his promotional team discuss when they think Abraham will knock out Froch. Given Froch had only been floored once in his career at this point it seemed like posturing. 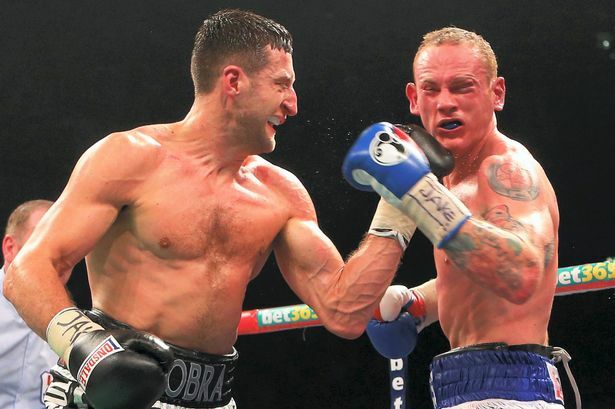 Twelve one-sided rounds later Froch had taken the soul away from his opponent and won with superior boxing skills. 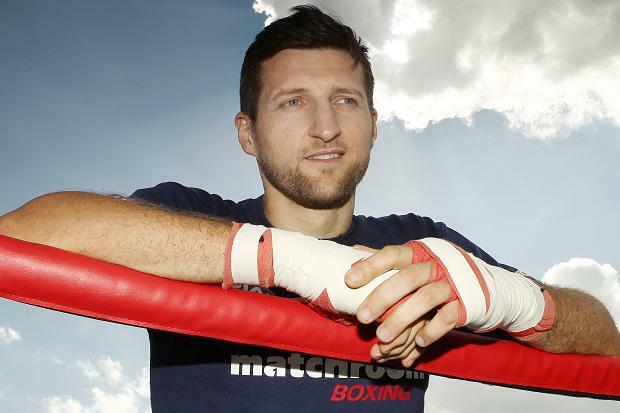 A whitewash victory would set Froch on the way to the final. Kessler has always been a respected fighter and probably came the closest to beating Joe Calzaghe and already had a victory against Froch coming into the rematch. Most felt Froch would have enough to get past the Dane having improved greatly since the first fight 3 years previous. Froch threw a ridiculous amount of punches (1034) and ultimately won the fight by UD. Kessler would prove to be a hard cookie, twisting the legs of Froch after landing a huge right hand late in the fight as they two warriors continued to the end. Froch proved, much like in the Abraham fight, that he has skills and isn’t just a great chin with heavy hands. An all-out war with two vicious warriors. Both were undefeated and they never let up for 12 rounds. Pascal has since demonstrated how good a fighter he is beating Lucian Bute and Chad Dawson but he found his match with Froch. This was the first real indication that Froch was a legitimate threat at world level and boy did he take that opportunity with both hands. They traded blows for 12 full rounds and Froch was rightfully awarded the decision. It turned out after the fight Froch broke a rib and perforated his ear drum before the fight but refused to pull out. Warrior. Taylor may have been bested by Kelly Pavlik twice but he had handy victories over Bernard Hopkins (twice) a draw against Winky Wright and a bounce back victory against Jeff Lacy. Carl Froch beats Jermain Taylor to retain the WBC Super Middleweight title. Taylor would knock down Froch early; dominate the first half of the fight before fading. Talyor was still ahead on two score cards going into the last round though before Froch landed a huge right hand that would stagger him. Taylor was floored once and couldn’t survive the following onslaught losing with less than ten seconds of the fight remaining. For me, this is the best performance of Carl Foch’s career for a multitude of reasons. Amazingly Lucian Bute was rated higher than Andre Ward at one point in the Super Middleweight division due to an almost perfect run of performances beating, what now looks like, a decidedly average set of opponents aside from Sakio Bika and Glen Johnson. Bute was big betting favourite against Froch and a lot of people surmised that the power of Bute and his superior skills would be far too much for Froch. Froch had a good record at this point but far too much credence was placed in the defeats to Kessler and Ward that people brought up constantly as if to evidence that he was easily beatable. Froch came flying out the traps in the strangest way. He rarely threw, never led off and Bute had no idea what to do. Bute began to try to pick off Froch and found nothing but bursts of punches coming back at him. Unable to deal with the work rate and crouching uppercut that Segat would have been proud of, Froch practically stopped Bute by the end of the fourth before Bute wobbled back to his corner. He shouldn’t have come out. He was blasted out in the 5th and Froch had the victory that seemed like the cherry on top of his career. How little did we know he would go on to win 4 more fights before setting himself up for even bigger fights in the future. This was the point when Froch went from respected World Level fighter to Superstar. Just fyi, I left out the Dirrell fight because frankly I thought he lost handily.